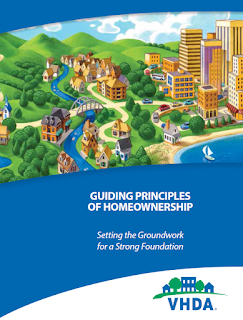 VHDA and our partners across the Commonwealth have a record of providing homebuyer education and renter education, both in person and online. Our training helps thousands of people every year learn how to manage finances and credit, locate quality housing, navigate the mortgage process or work with landlords, and generally improve their quality of life through knowledge and experience. Click here to download the Guiding Principles of Homeownership reference guide.